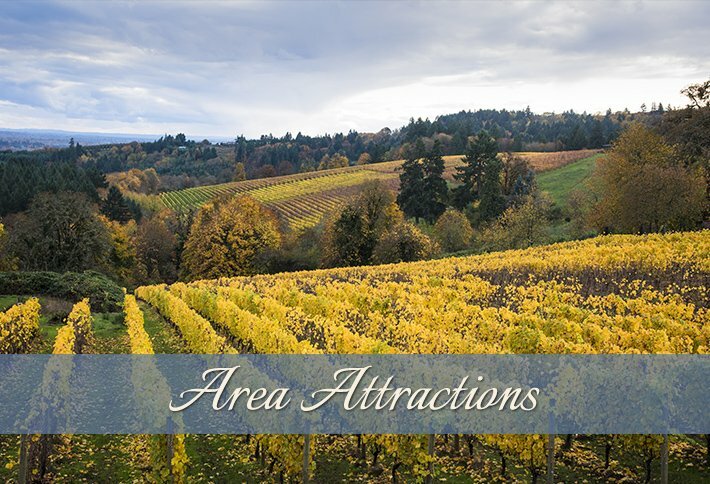 Looking for a great hotel or guest accommodation in the Willamette Valley? Built by a lumber baron for his family in 1915, The Carlton Inn Bed & Breakfast is located within the charming community of Carlton, known as “The Wine Capital of Oregon.” A short walk out the front door you will discover over a dozen tasting rooms and wineries, as well as unique shops and wonderful restaurants. 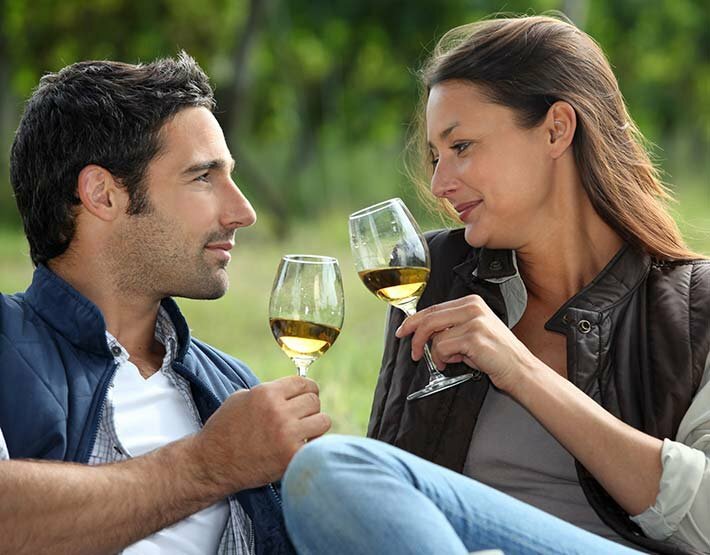 A short drive and you can reach even more wineries, as well as other beautiful, unique, and interesting places to explore. The Carlton Inn B&B offers comfortable accommodations with a touch of whimsy, unique architecture and character that makes The Carlton Inn a visual treat of color, art, and decor; a soothing and relaxing sanctuary in the heart of Oregon and Willamette Valley's Wine Country. Within our Willamette Valley bed & breakfast find four cheerful and quaint guestrooms, each with a private bath and king or queen size bed, provide casual luxury and comfort for a romantic get-away, a haven for the business traveler, or a destination for a few days of wine tasting, art, dining, and shopping, which can be enjoyed in a variety of ways, including cycling, walking, and/or driving. Our goal is to make everything about your experience at The Carlton Inn extraordinary, and we love to share the ins and outs of our great little town. Please be aware that this is an adult destination, no children under 12 years of age, and no pets. The living room offers plenty of comfortable seating with wood burning fireplace, and TV area. 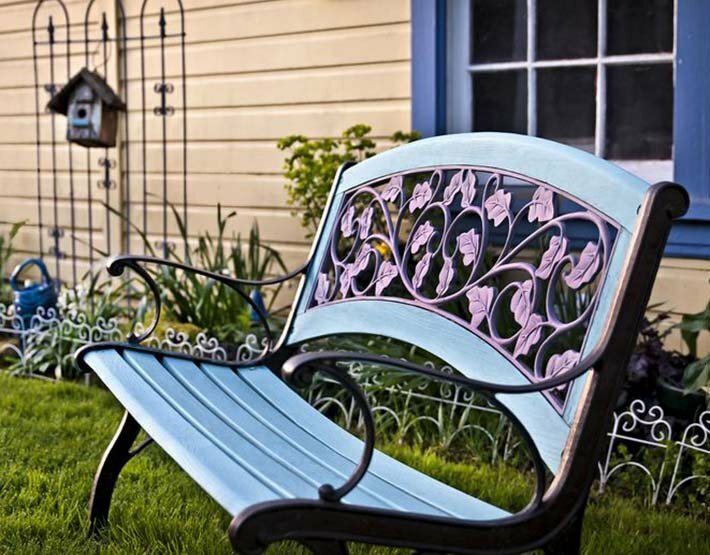 You can also relax on the shaded back porch overlooking the garden. 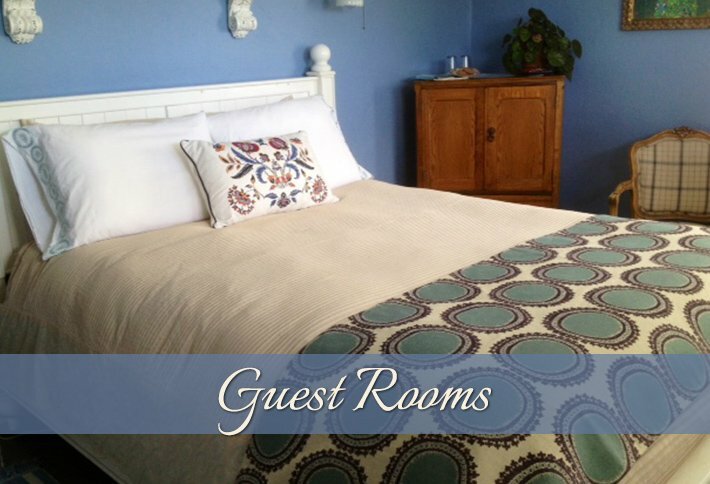 The Carlton Inn gives guests a sense of peace and comfort. There are fine linens, private baths, modern technology and all the necessities for a stay that is delightful and free from tension. 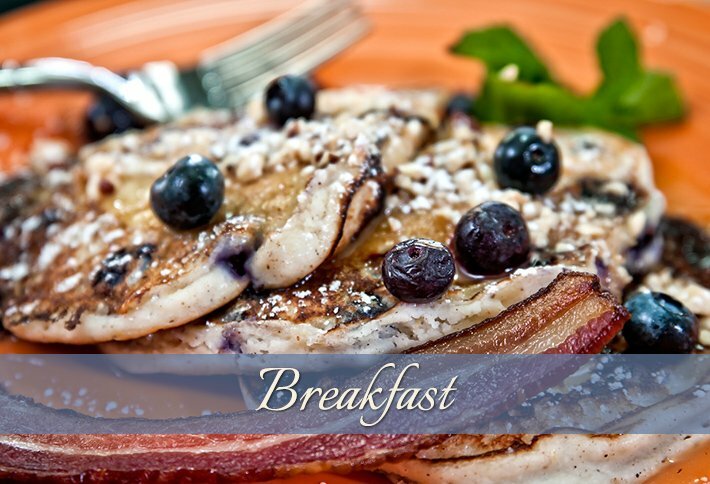 Best of all are the fresh baked cookies upon check in, and the multi-course gourmet breakfast prepared from scratch, using local products and produce when possible, some coming from the Inn’s own garden.